20th Century Fox has unveiled the theatrical movie poster for the new Die Hard sequel, A Good Day to Die Hard. Bruce Willis, Jai Courtney, Radivoje Bukvic, Cole Hauser and Sebastian Koch star in the Russian-set action adventure. Iconoclastic, take-no-prisoners cop John McClane (Willis), for the first time, finds himself on foreign soil after traveling to Moscow to help his wayward son Jack (Courtney) –unaware that Jack is really a highly-trained CIA operative out to stop a nuclear weapons heist. With the Russian underworld in pursuit, and battling a countdown to war, the two McClanes discover that their opposing methods make them unstoppable heroes. 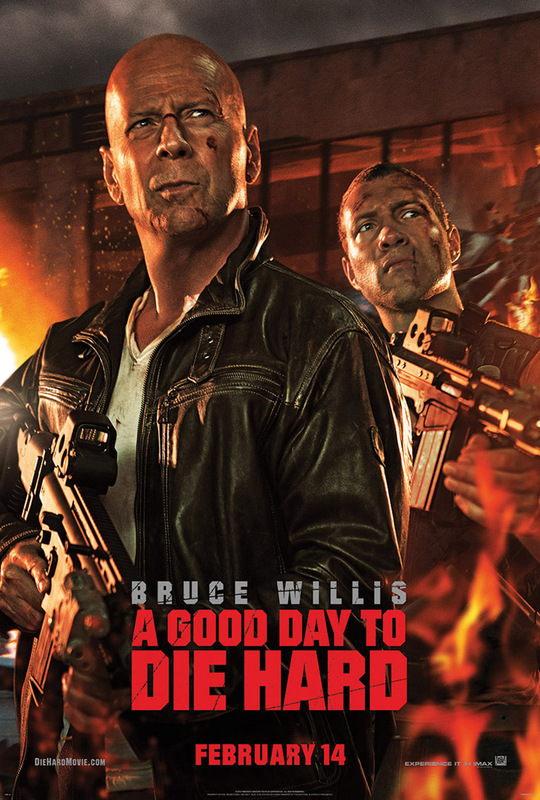 A Good Day to Die Hard is slated for release on February 14, 2013 in conventional and IMAX theaters. You can view the movie poster below.